SALISBURY, Md. 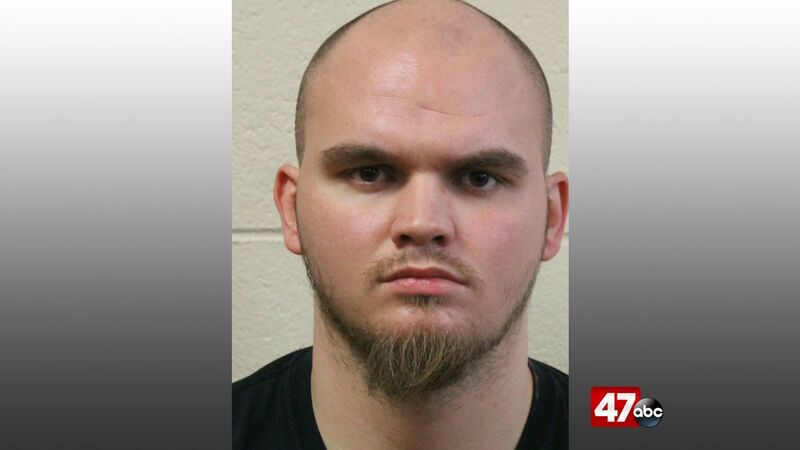 – Police say they arrested a Salisbury man twice in the same day, at the same location. Shortly after 8 AM Friday, a deputy from the Wicomico County Sheriff’s Office responded to a home in the 6000 block of Zion Church Road for a report of a subject inside the home, defying a temporary protective order. On arrival, 23-year-old Dylan Hartmann was found inside with the petitioner of the protective order and taken into custody. He was released on an unsecured bond. At around 4:15 PM the same day, a deputy responded to the same residence for a reported assault. It was then learned that following Hartmann’s release earlier in the day, he returned to the home and forced entry inside through a back bedroom window. He then allegedly assaulted the petitioner of the protective order and a male subject that tried to intervene. Hartmann fled the scene prior to police arrival, however, a K-9 team was dispatched and Hartmann was found hiding in a barn approximately two miles away. Hartmann is currently being held without bond on violation of a protective order, home invasion, and second degree assault charges.